I had a coupon for 40% a regular priced item at Michel's, so I got a skein of Red Heart yarn. I have been lately trying to do the "couponing thing". It is lot of work to clip and organize coupons, not to mention to looks for the sales. 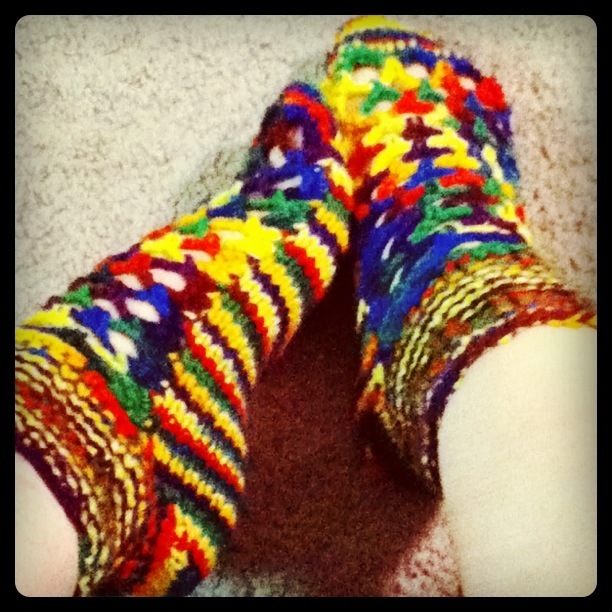 So with the yarn I made another pair of my Hybrid Socks and Small Shelled Gloves. I agree, couponing is a lot of work! I undergo what I call coupon dyslexia, where they all look the same, I get frustrated, and decide to just not shop at all. So no matter how you look at it, I end up saving money. Anyhow, nice 'handmade' yarn treasures! 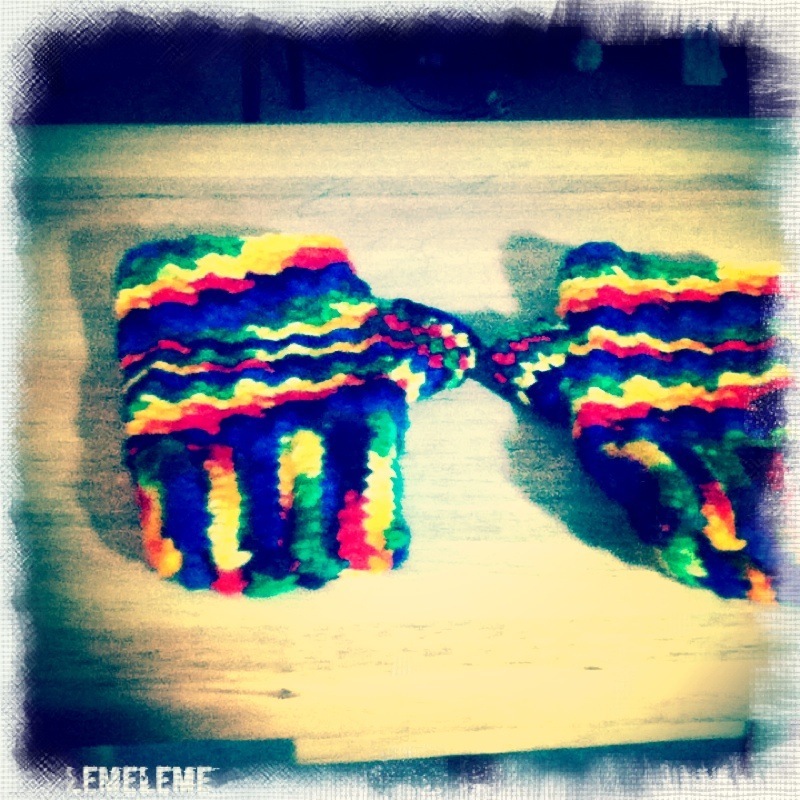 Love your handmade socks and gloves. the socks and gloves look great! Cute! I clip coupons when I come across them and keep them in my wallet until I get to the cashier. Every couple of months I go through them and throw out all the expired ones. The Michaels ones are a good deal though! I made my friend's little boy socks from that colorway ... they never got lost! That yarn is fun! I love the gloves and socks. Argh! I always have coupons when I don't need anything and can't find them when I really do need them. Glad it worked out for you. Hi there, I am a new follower from the Sundae hop! Thanks for hosting! Love your site! What great work! This will surely make winter brighter! Great! i want to make but i can't.... Thanks for sharing.